Human Upper Triple Root Molar with interchangeable cavities. Longitudinal section through crown, 3 roots and pulp cavity. 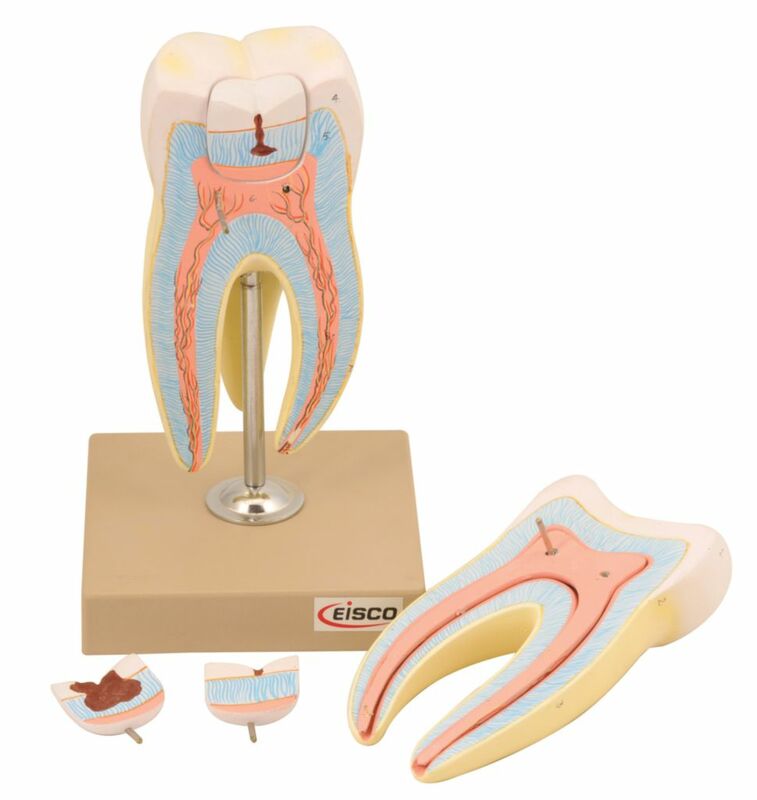 Removable tooth inserts with different stages of advanced cavities. Measures 8.5" tall On a 5" x 5" stand. Numbered with English Key Card.